“F​–k​ you Trump. We just booked a $3,000 vacation to beautiful British Columbia. Happy anniversary to us. #Canadastrong #BuyCanadian #F***Tariffs,” tweeted ​Supreme Leader Lyna. 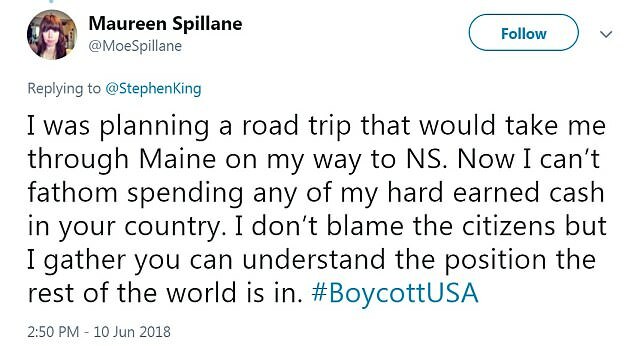 And one Twitter user called on “Patriotic Americans” to schedule vacations in Canada and increase their purchases of Canadian goods. Trudeau acknowledged the support of individual Canadians during an event at Parliament earlier this week. “There’s a bit of a patriotic boost going on these past few days,” he said. 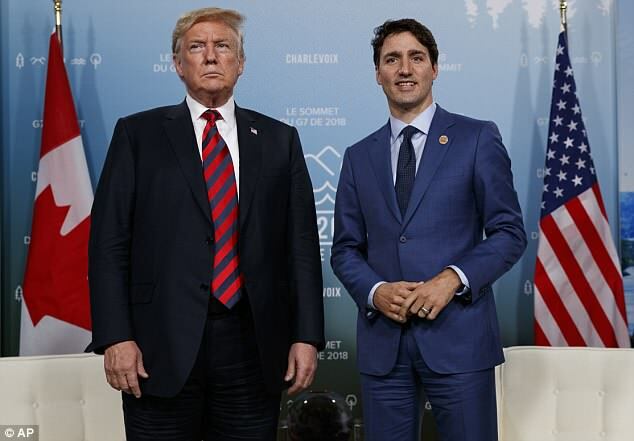 Trump and Trudeau are locked in a tiff over tariffs after the president last week said he would impose penalties on steel and aluminum imports. Trump heard the remarks as he flew in Air Force One to his summit in Singapore with North Korea’s Kim Jong Un and withdrew from a statement issued by the G7 on trade.